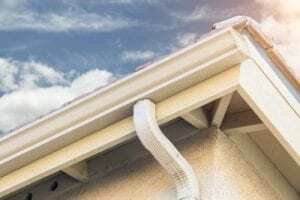 It’s time for a gutter replacement if your gutters are leaking, sagging, or damaged in any way. An effective gutter system is essential for homes in Indianapolis, Indiana, to properly channel rainwater away from the house. If you want to prevent your old gutters from causing costly water damage to the structure or foundation of your home, turn to the professionals at 31-W Insulation. Since 1972, we have been providing homeowners throughout the region with the home improvement options they need, including top-of-the-line gutter replacement services. At 31-W Insulation, we’re proud to offer seamless gutter systems, which have many advantages over traditional gutters. Because they’re manufactured onsite during the installation, seamless gutters are certain to fit perfectly to the dimensions of your home in Indianapolis, IN. And, since they lack seams along each edge of the house, they are less prone to leaks and debris buildup than sectional gutters. Many homeowners also prefer the aesthetic of seamless gutters, which offer a clean, finished look to any home. Once you’ve selected the color you want for your home, you can count on 31-W Insulation to take care of the rest of the details. Our experienced technicians will ensure every aspect of the installation is handled with care and precision so that your new gutters will look and function great for years to come. Contact 31-W Insulation today for more information on the gutter replacement services we offer in Indianapolis, IN.